Sweet Alchemy online slot by PlayNGo is an engaging betting game, where wins are achieved by landing on clusters of alike symbols. Four or more identical images positioned next to each other, need not conform to positions outlined as paying lines. The alike symbols may align vertically, horizontally or both ways, whilst connected as a cluster. Every win event is important because they provide the elements needed to charge up the Alchemist's Sugar Rush Meter. Sugar Rush Free-Spins Meter – All winning symbols transfer physically to the Free Round Meter; freeing up grid spaces to where new and existing symbols cascade. Win occurrences though must transpire uninterruptedly, for a continuing meter progression. Otherwise, any break in a winning trend will cause the meter to reset. The Sugar Rush Meter brings on more than just bet-free opportunities to rake in more cluster-win pays. While spinning away to fill up the Meter, the Alchemist will add different types of Wilds at certain meter levels. The Meter also collects a portion of every cash reward collected, in order to fill a Treasure Chest. Monies held by the Treasure Chest can be won by advancing in a related Map. The latter appears as a final feature of the Free Round. An array of Wild Symbols take random positions across the grid. Their occurrences though come as rewards for achieving specific Sugar Meter Charge levels. Pinwheel Candy Wild – represents a regular wild card that can simply substitute for any regular-paying candy. The Sweet Alchemy Girl replaces two random icons with Pinwheel Candy Wilds, once the Meter charge reaches the 1st Quarter Level. Striped Candy Wild is a Wild that removes an entire row of symbols, if it forms part of a Cluster Win. Two of this particular Wild Symbol will be added to the grid once the Meter is half full. Dotted Candy Wild has attributes similar to the Striped Candy Wild. It removes random candy images from the reels if it completes a Cluster Win. The Sweet Alchemy Girl adds this type of Wild once the meter is 3 Quarters Full. In the “Mix the Elixir Free Round,” a player's objective is to activate the “Elixir of Power” Bonus Game at every game level. In order to complete each stage, Sweet Alchemy players must continue charging the Sugar Meter with at least 3 winning symbols per level. Sugar Bombs – Several bomb-like sweets will land and explode on random positions across the grid, resulting to multiple symbol removal. Mixed Candy – This Spell rearranges all existing symbols in ways that will create Cluster Wins. Sweet Surprise brings on Wilds that replace random candy icons. This bonus feature activates every time a player completes a level of the “Mix the Elixir Free-Spins.” Players select from an array of Chocolate Tiles to reveal and match one of 3 color-coded Elixirs: Red, Green or Purple. The prizes awarded by the Elixirs are Total Bet and Total Win Multipliers; each set of prizes increases in value on every game level achieved. The Total Win Multiplier will apply to the Total Wins collected by the Treasure Chest. Treasure Chest Feature works in conjunction with a Trail Map. Every “Elixir of Power Bonus Game” completed, moves a player's Map position by a spot. Completing all Map positions during a single Sweet Alchemy gaming session will enable players to reach the Treasure Chest, and claim the amassed prize money. Sweet Alchemy : Sweet Wins via Candy Clusters; Made Sweeter by Wilds, Modifiers and Free Games! 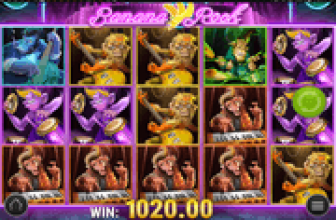 Sweet Alchemy online slot pays on Cluster Wins. It also collects winning symbols in order to fill a Sugar Rush Meter that awards an array of Wilds, and entry to Free Games where wins are made sweeter by Candy Spells Moreover, completing the Sugar Rush Meter at free-round stage leads to a Pick Bonus Game that awards Multipliers. The Free Round culminates by advancing players' position in a Trail Map that leads to a Treasure Chest jackpot.